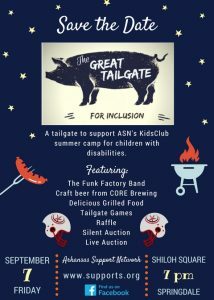 Shiloh Square, 106 W. Emma Ave.
Get your tailgating crew together and kick off football season with an unforgettable night of fun and entertainment, delicious food grilled on-site, cold drinks, live music, and silent and live auctions – all for a great cause. For details, visit www.supports.org. 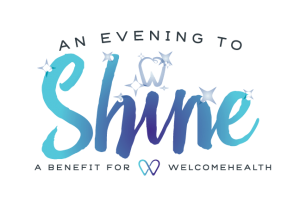 An Evening to Shine, hosted by WelcomeHealth, will feature a fun night of socializing, entertainment, a silent auction, clinic presentation, food and drinks. During the event, Denise Roark will receive the JB Hays Community Needs Award and Albert Gray, a long-time volunteer, will be recognized. For more details, visit www.welcomehealthnwa.org.